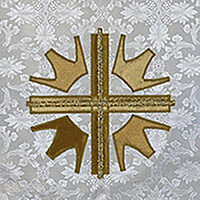 This design, which fashions a graphic crown of thorns out of the Davidic star, reminds us that it was at the cross that the One who was born Emmanuel demonstrated the full extent of his commitment to become one with humankind. 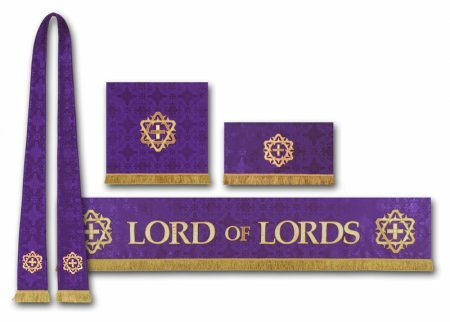 This collection of liturgical textiles was constructed from brocade with satin appliqué and fringed trim. 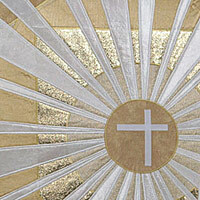 It is used throughout the liturgical season of Lent, from Ash Wednesday through Holy Week.